The ancient shunning practice known as “chhaupadi” was outlawed in 2005. A NEPALI MOTHER and her two children have died of suspected smoke inhalation after a night in a windowless hut where women are banished during their period, police said yesterday. Police said Amba Bohara (35) fell asleep in a hut in western Bajura district on Tuesday evening with her two sons aged 12 and nine. The trio had huddled around a fire to stay warm in Nepal’s freezing winter conditions. Local police chief Uddhab Singh Bhat told AFP that the woman’s mother-in-law opened the hut the next day to find all three dead. Parts of the blankets sheltering the trio were burned, and Bohara had suffered burns to her legs. 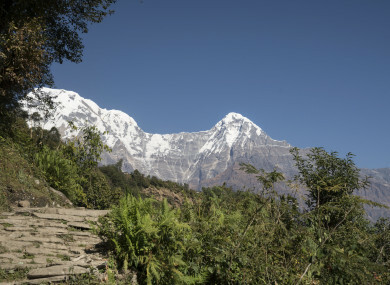 The ancient shunning practice known as “chhaupadi” was outlawed in 2005 but is still enforced in parts of Nepal, particularly its remote and conservative western regions. Last year, Kathmandu introduced three-months jail and a 3,000 rupee (€25) fine for anyone caught imposing chhaupadi. The death of Bohara and her children are not the first linked to the practice. Last year, a 21-year-old woman succumbed to smoke inhalation while banished to a hut, and other women have died from snake bites in the past. The country’s National Human Rights Commission have said that police need to do more to enforce the law. “Women will continue to die unless there are consequences for enforcing this tradition,” said the commission’s Mohna Ansari. Email “Nepali woman and her two children die in outlawed 'menstruation hut'”. Feedback on “Nepali woman and her two children die in outlawed 'menstruation hut'”.